The formation will fly low along the Hunter region coastline from Port Stephens to Lake Macquarie, before landing at Williamtown just after 1000. Our 1st two @thef35 Joint Strike Fighters are on their way from @LukeAFB. They'll arrive at their new home at #RAAFBaseWLM on Mon 10 Dec 18. There'll be more details soon. Wait out… More to follow. 3SQN will conduct a two-year verification and validation (V&V) period with the F-35s from early 2019. The V&V will be the major effort in order to achieve an initial operational capability (IOC), and will validate the F-35’s capabilities in an Australian operational and maintenance environment. In the meantime, Australia will continue to build its cadre of F-35 pilots with the United States Air Force (USAF) 61st Fighter Squadron’s multi-national Integrated Training Center (ITC) at Luke AFB, with the next RAAF unit, 2OCU, scheduled to start bringing its F-35s home from early 2020. VIDEO – RAAF pilots answer some common questions about the F-35A on the Air Force’s YouTube channel published on November 27 2018. 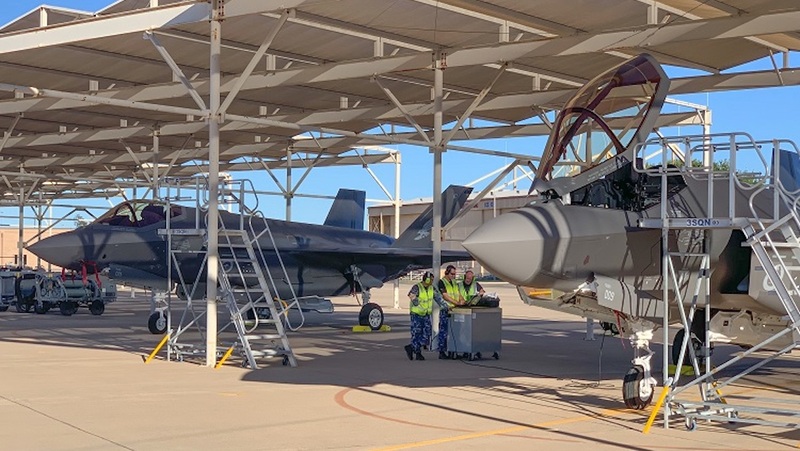 After 2OCU has received its F-35As, is settled at Williamtown and has conducted its first F-35A operational conversion (OPCON) course, the RAAF is expected to declare IOC in late 2020. After 2OCU, 77SQN will re-equip in 2021, and 75SQN will follow in 2022. 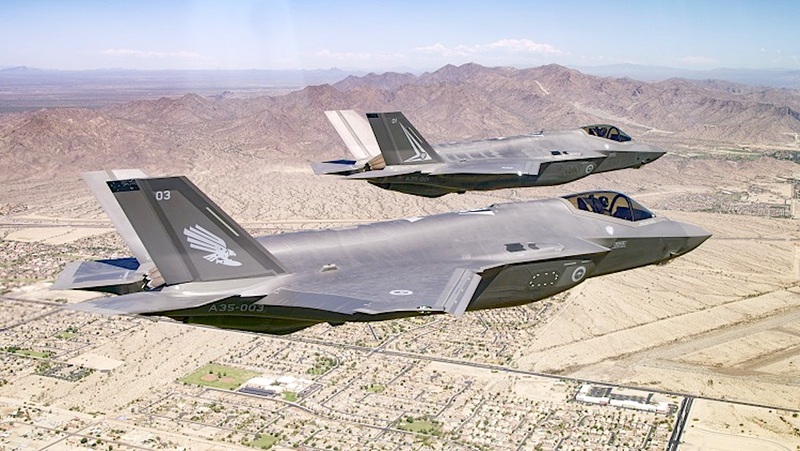 The RAAF has a stated requirement for up to 100 F-35s, with 28-30 aircraft to ostensibly planned to replace its F/A-18F Super Hornets from 2028 under Project AIR 6000 Phase 6. But the RAAF may instead decide to upgrade its Super Hornets to the US Navy-common Block III standard, or alternatively look at an unmanned capability. I am so very proud of you Guy’s. Have a safe trip home. Regards richard. Any idea when A35-001 and 002 will come back to Australia? I feel that both are getting the short end of the deal as both are being used for pilot training by all partners. The RAAF will devote 10 jets to the ITC until 2020, not just 001 and 002. They’ll come back with 2OCU in 2020. Why do you think -001 and -002 are getting the short end? Sorry, I don’t understand your reasoning? Yes they have been based in the US in the joint training squadron since early 2015, and yes they have been used for training not just RAAF crews, but equally ‘other’ nations airframes have been used for RAAF crew training too, I don’t see the problem. Many times, and especially in recent years, RAAF crews have had access to USAF and USN aircraft and facilities for training purposes in the US whilst we have waited for delivery of our ‘own’ airframes. As it stands at the moment -001 to -008 will stay in the US for training purposes, certainly until at least 2OCU completes it transition to F-35A and returns to Oz and is able to train crews for the transition of both 77SQN & 75SQN, those first eight airframes may end up being the last to arrive. After the delivery of -009 and -010 to Williamtown next Monday , the remainder, -011 to -072, will be delivered direct to Australia. I wouldn’t be surprised if -001 and/or -002, when they arrive in Oz, will more than likely spend their lives as part of the ARDU fleet, just as a number of Mirage, F-111 and F/A-18s have done in the past being used for testing. Anyway, I don’t see the problem. Not quite – 11 and 12 will also be delivered to Luke, as will another 13 jets next year to complete the stand up of 3SQN and to start 2OCU off. The next jets to come home wont be until the V&V is nearly finished in early-mid 2020. @John N, Want I mean is that both airframes will clock more hours on them, meaning they may get a shorter life in the RAAF. As a $120-130 million dollar investment, you want to get as much life out of the airframe as you can.